Hyderabad based famous women biker Sana Iqbal died following an accident in hyderabad early this morning. she was with her husband Nadeem, who was driving the car. she died, while her husband escaped with injuries. 30year old Sana was well known among the Rider community and had undertaken several rides across the country, for causes that she believed in. 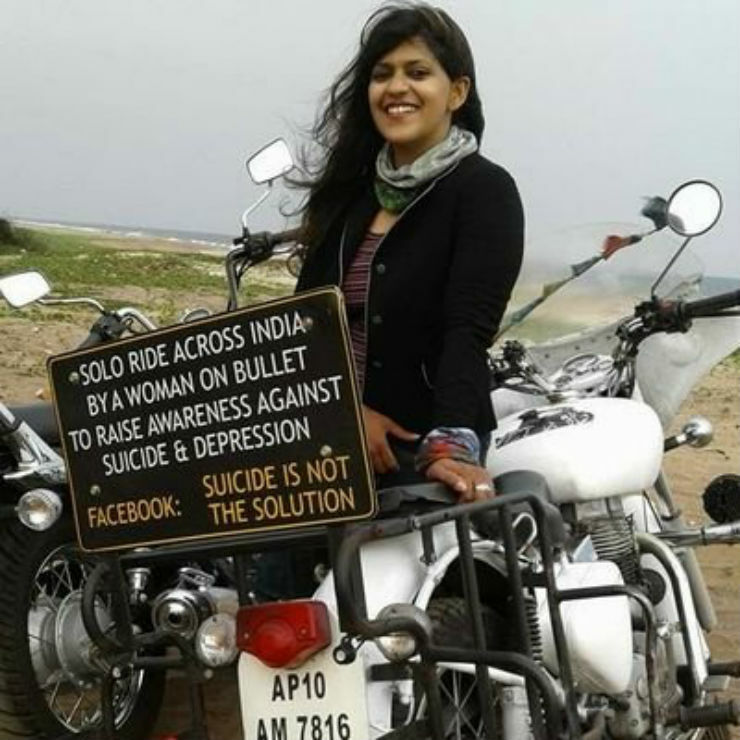 Riding on her Royal Enfield Bullet, Sana made several solo journeys across the country to spread awareness against suicide. 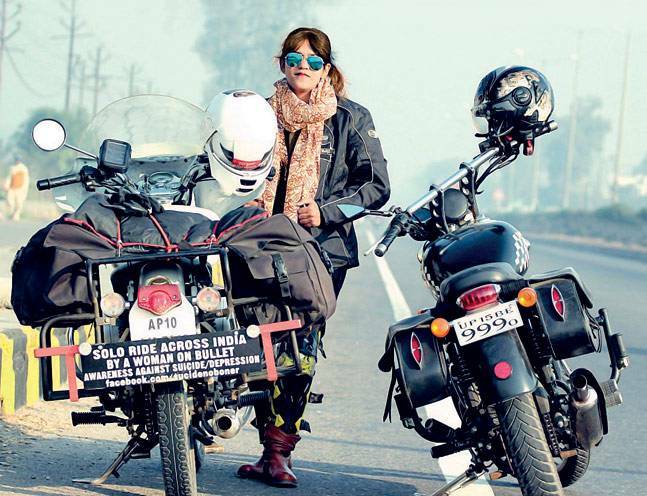 In November 2015, Sana set off on a solo journey on her Royal Enfield Bullet Electra that spanned 38,000 km across India, covering all the states, on an 'anti-suicide' mission. "It's a wonderful feeling, and I have covered 38,000 kilometers in India, all the states and union territories. 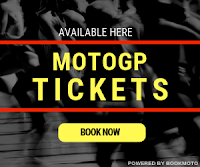 So it's a fantastic experience. Wherever I went, I met a lot of people who were very helpful, who really wanted to, you know, do something for the betterment of the society. I mean, I just came across a lot of positivity wherever I went," Sana told ANI after her return in June last year. Sana Iqbal has helped thousands of students battle depression and suicidal tendency through her motivational talks. She also used to give guidance via her facebook profile. Her slogan was – ‘Suicide is NOT the solution. 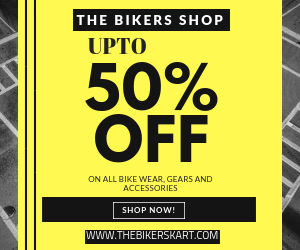 Sana’s death is a great loss to the biking fraternity.